John and Rita Pappa have served in Guatemala since 1993, when they left their careers as a video engineer and a teacher to follow the call of God on their lives. In the past 2 decades they have ministered across Guatemala encouraging pastors and churches. They take particular delight in helping pastors attend Bible School. 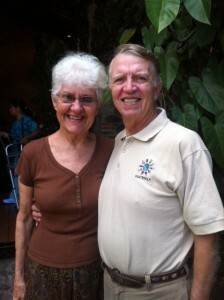 John and Rita testify firsthand to the incredible difference short-term mission teams can make in a village. Teams serving with the Pappas assist in door-to-door evangelism, medical outreaches, and construction of churches and pastors' homes. 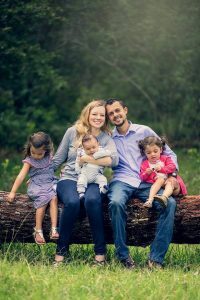 Wesly and Katie Sanchez, a couple brought together on the mission field, are serving as full time missionaries in Guatemala. While raising their two daughters, Hosanna and Annakah, they are working to bring the gospel to remote villages in the Quiche region. Their main focus is evangelism, but they also work with a network of pastors and churches that are already established. They host short-term mission teams that vary in focus from evangelism and kid's ministry to medical teams. Their passion is to preach the Gospel of Christ, reach out to the brokenhearted, and edify the church.